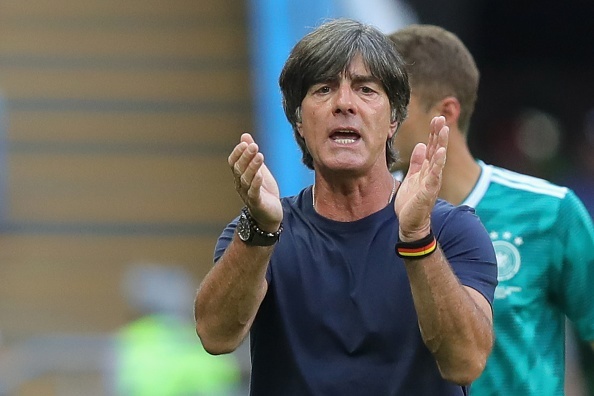 Germany coach Joachim Loew will stay in his post despite his team's group stage elimination at the World Cup in Russia, the German Football Federation (DFB) said on Tuesday. Loew's contract runs until 2022, having been extended for two years in May. However, his side's shock exit in Russia, after defeats to Mexico and South Korea and a solitary win over Sweden, had sparked speculation over whether he would continue. "We are all firmly convinced that with Jogi Loew, we have a national coach who will analyse (the situation) very precisely, take the right steps and lead our team back on the road to success," DFB president Reinhard Grindel said in a statement issued by the federation. Loew said he was "very grateful for the confidence that the DFB continues to place in me." Loew has been in charge for 12 years, having taken over after the 2006 World Cup, and in he 2014 led Germany to their fourth World Cup title. Until Russia, he had led his country to at least the semi-finals in all major tournaments he had led them in.